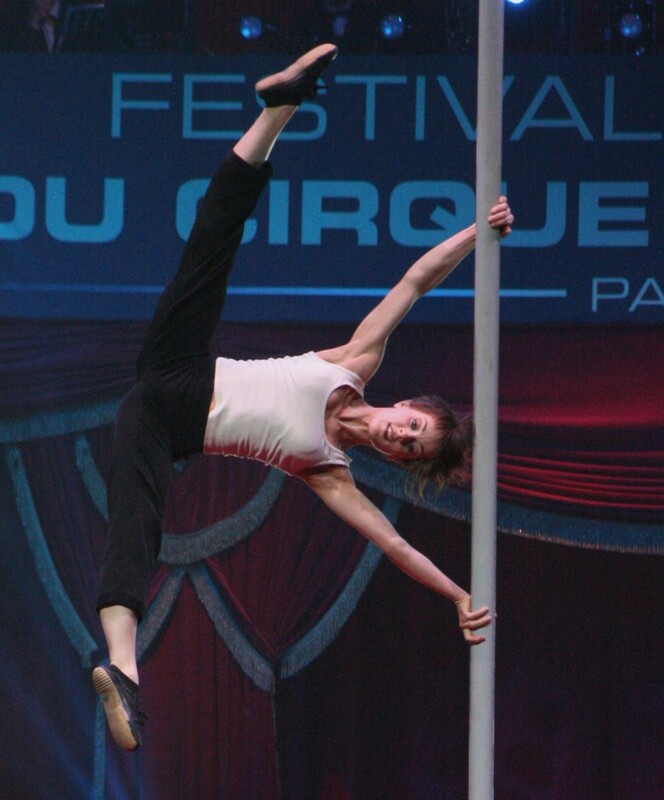 Traditionally, pole climbing is based on strength and dynamism. 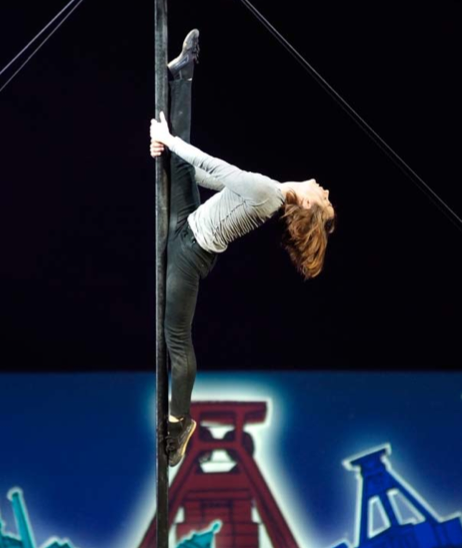 Heloise beaks the rules, as she climbs with flexibility and fluidity. Combining strength with grace, this act brings us into a provocative feminine universe with a vertical whirlpool of movement. Copyright © 2014 Will & Helo.